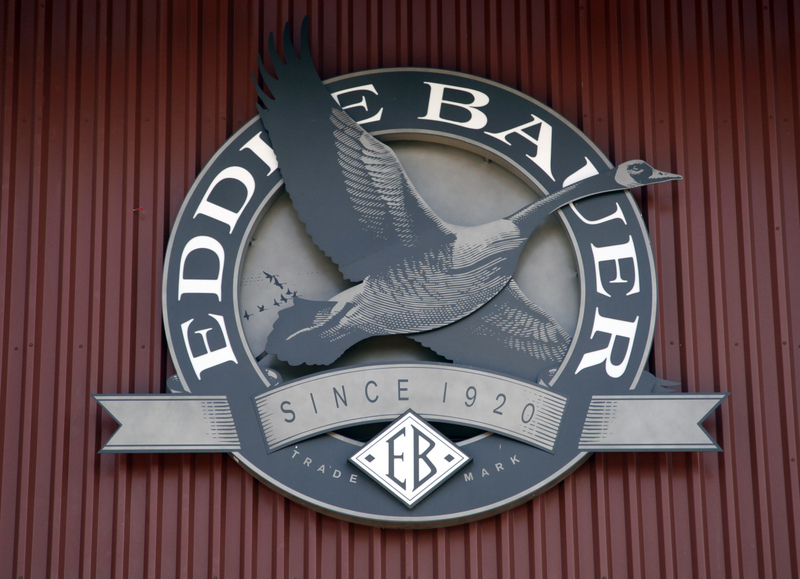 The Eddie Bauer logo is seen outside its store in Superior, Colorado, June 17, 2009. Jos. A. Bank has agreed to buy Eddie Bauer for $825 million in cash and stock. The target may also receive an additional $50 million in cash should Eddie Bauer’s EBITDA hit targeted levels. The deal will consist of $564 million of cash and around 4.7 million new shares, issued at $56 per share. In addition, the company also announced it will commence a tender offer to acquire up to 4.6 million shares, or 16.4 percent of outstanding stock, at a price of $65 per share. Jos. A. Bank retains the right to walk away and cancel its tender offer should its board decide an unsolicited offer for the company offers greater value for its investors. There is a $48 million break fee should Jos. A. Bank cancel the deal.